A Healthful Scoop for that Cold-Creamy Fix! It’s a well-known fact that ice cream is essential for surviving the sweltering summer heat, so why not throw some vital vitamins into the equation? 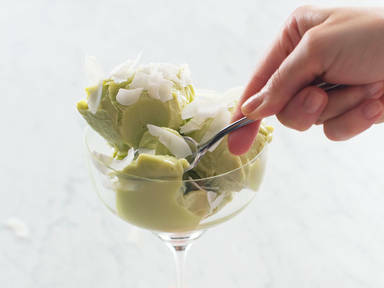 Avocados are loaded with nutritious benefits, while having that lusciously creamy texture we all love and yearn for—making them perfect for ice cream! It only requires 5 minutes and 3 ingredients to stack your freezer with this creamy, refreshing, and immune boosting treat—enjoy!